and more with our ultimate Cobble Hill guide. Charm and great architecture are in abundance at this laid-back neighborhood. 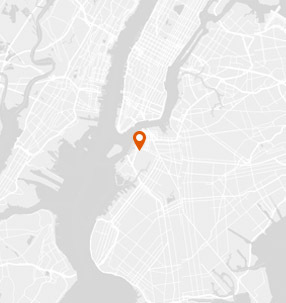 Cobble Hill has an average violent crime rate and a below average property crime rate for New York City. WHAT’S LIVING IN Cobble Hill LIKE? 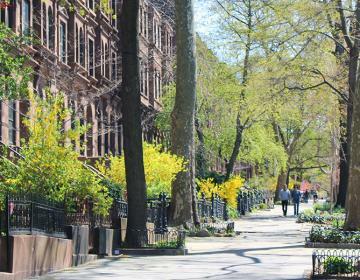 Located in Brooklyn, Cobble Hill is at the center of a collection of charming neighborhoods. 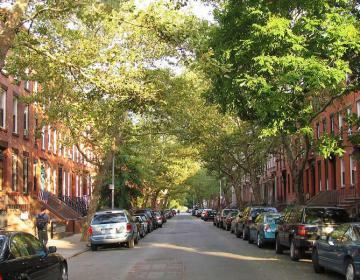 Like its neighbors, it sports leafy, shaded streets lined with elegant brownstones, brick rowhouses, and refurbished carriage houses -- many of which date to the 1800s. Adding to the historic feel are Victorian-style buildings and Gothic Revival churches. It all feels appropriate when you learn that this was a contested area during the American Revolution. (The British razed the eponymous hill to better protect their fort in nearby Brooklyn Heights). But within this setting is a vibrant neighborhood full of boutiques, coffee shops, trendy restaurants, and bars where old timers mix it up with young families, professionals, and a French expats. And when you're looking for some calm, the tiny Cobble Hill Park is a quiet place to read or collect your thoughts. 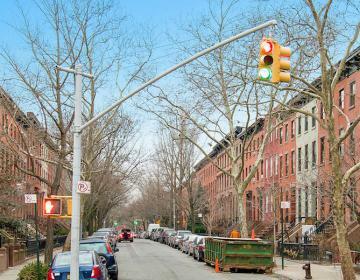 Cobble Hill is bordered on the north by Brooklyn Heights, on the east by Boerum Hill, on the south by Carroll Gardens, and on the west by Columbia Street Waterfront District. This Thai restaurant has huge portions of food at cheap prices, making it a perrenial favorite for locals. Popular with French expats, this French restaurant has amazing pancakes and French toast. Expect lines at peak times. The Clover Club is a cocktail bar that's left the pretension at home. This is a low key neighborhood spot that occasionally has live jazz music. Established in 1930, Sam's is a neighborhood institution that's survived the many iterations of this neighborhood with a simple mission: make good pizza. Photo Credits: Thanks to @Matthew Hurst , @Marco , @SharonaGott , @Steven Pisano , @Jay Woodworth , @Jeffrey Bary , @Ed , @virnama0128, @marquetpatisseriebk, @heavymetalbylw, @aitzazghaznavi, @janbar_ for your great photos of this neighborhood!